Seventy percent of change programs fail due to employee resistance and lack of management support. 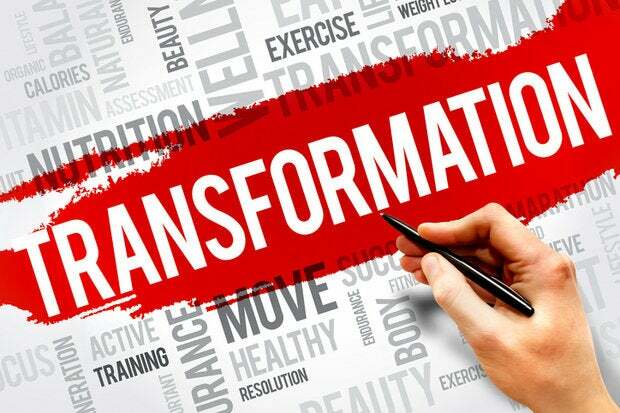 Here is how to make your digital transformation journey a success. Going digital is about reinventing business models, redefining industries, and improving the customer experience to stay ahead of the game and ensure future growth. Digital-savvy organizations challenge the status quo, love experimenting, are not afraid to fail fast, learn from mistakes, move on quickly, and constantly push the ambition level further. While this might sound familiar, many organizations struggle to move beyond the rhetoric and convert acknowledgement into action. McKinsey estimates that 70 percent of change programs fail to achieve their goals, primarily due to employee resistance and lack of management support. Broadly speaking, there are three major variables in this equation: strategy, technology, and culture. While much attention is typically given to strategy and technology, all too often little is devoted to the cultural part. The discussion tends to be focused upon where and how to play, and the technologies needed to facilitate the corporate agenda. While none of that is wrong per se, it’s important to keep in mind that the cultural transformation is an equally critical success factor. When putting all three components together, the whole is much greater than the sum of its parts. However, thriving digital organizations do more than simply formulate a bold vision. Besides describing the desired future state and creating a roadmap, they put great effort into fostering a culture of change to spur creativity and innovation. Similar to professional athletes, music artists or scientists, digital-savvy organizations continuously progress on the learning curve, deem failure as a prerequisite for success, and have the courage to keep going. Unlike the typical corporate world, they simply accept that setbacks are a part of life and almost always an inherent part of a given success story. These organizations invest in new capabilities and develop the skills to gain agility and keep up in a highly dynamic, quickly changing environment. They attract, nurture and retain talent, and minimize the risks of losing it. They also embrace diversity and intense collaboration, and see the value that lies in interdisciplinary teams with a rich set of different backgrounds and experiences. When aiming to become a flourishing digital player, small steps within the known territory will only get you so far. To come up with a revolutionary idea that has the potential to be literally the next big thing, people have to experiment and try something new. And evidently, not each and every experiment is necessarily a success; in fact, only a few will be. It’s all about daring to do something extraordinary and moving beyond the comfort zone without blame or finger-pointing. Organizations that do not understand the fundamentally changing paradigms are very likely to fail. While this four-step approach is obviously just a snapshot, it provides a rough idea that helps come up with a more holistic and sophisticated game plan along the categories listed. The leader takes over stewardship for the transformation journey, which means communicating the vision, mission and roadmap, assembling the team of change agents, championing the initiative and ensuring progression. This includes setting an ambition level, openly addressing obstacles ahead and coaching the team how to overcome them by giving guidance, exuding positive energy, and staying connected to capture the hearts and minds of the employees. These three steps are crucial to ensure that the leader is not alone striving to encourage the organization to keep pace with digital transformation. Championing positive change agents across the organization represents a critical step to operate at scale. Becoming a thriving digital organization is a huge effort, but it can be incredibly rewarding. It not only paves the way into a new bright era of technological advances, but also entails a set of tangible benefits that come along. PwC has just published a study after surveying 2,216 executives across 53 countries. Nearly three-quarters (73%) of the respondents listed increased revenue as a top benefit of their digital strategy, followed by growing profits (47%) and lower costs (40%). While there is certainly no such thing as an automatism for success, working along the playbook outlined above can increase the odds. It’s time to get moving, and as Chinese philosopher Lao Tzu said, "A journey of a thousand miles begins with a single step."